A Little Bit of Quiet: Lah-Lah's Adventures Concert Ticket Giveaway! Lah-Lah's Adventures Concert Ticket Giveaway! Calling all Sydney-siders, calling all Sydney-siders! 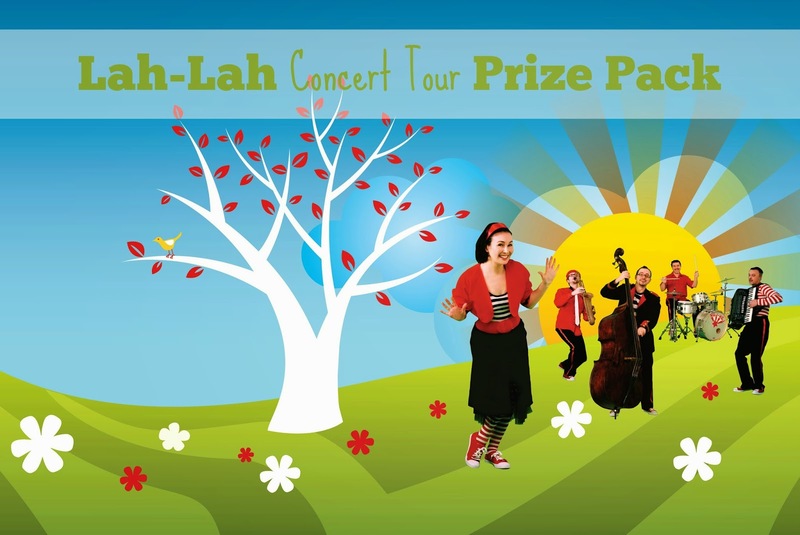 I have an amazing DVD, CD and concert ticket giveaway opportunity for the amazing Aussie pre-school musical group Lah-Lah, who are touring Sydney throughout April in support of their new show Lah-Lah's Adventures. How does that sound? Fabbo? Yes, so fabbo! Check out Lah-Lah's YouTube video if you are not convinced, and the Media Release for more info and tour dates. They are gorgeous and any little one would love to see them live. 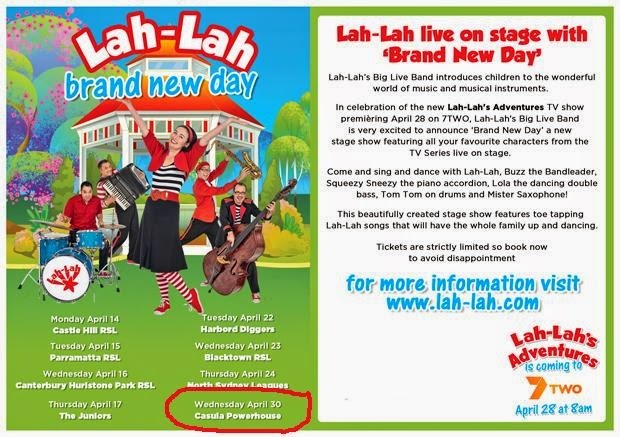 The prize pack contains a "Shake it Like This" CD, a "Making Music Lah-Lah's Way" CD, a "Lah-Lah's Adventures Brand New Day" DVD and a Family Pass (good for four) to the April 30th Casula Powerhouse, Casula NSW show. 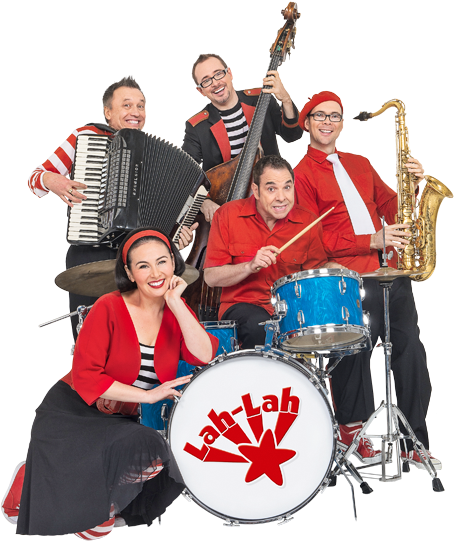 If you haven't heard of Lah-Lah before (I actually hadn't) they are a band that introduces children to music and musical instruments through fun and entertainment. Based in Sydney (Australia), Lah-Lah features five wonderful expert musicians, who all love to share the joy of musicianship with little ones and their families. The group features a dancing double bass, singing saxophone and an accordion that sneezes when he squeezes. I have been told Lah-Lah are Australia’s premier kid’s band. Awesomeness! The series follows central character Lah-Lah, who together with her buddy Buzz, the band leader, and their instrument character friends, Lola the double bass, Mister Saxophone, Squeezy Sneezy the piano accordion and Tom Tom the drums, explore a variety of musical styles from pop, jazz and world music, to a touch of Mozart. So parents don't assume it will just be your kids who will be revelling in the fun, you too will be joining in, tapping and jiving to a whole new beat! Good luck and please let me know how much fun you had if you are the "lah-lah lucky" winner!